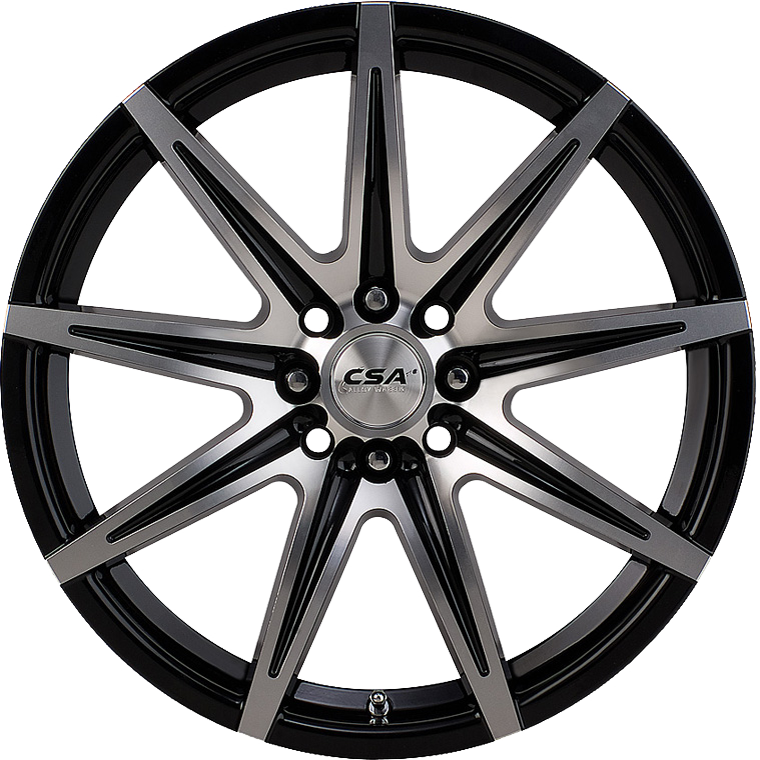 CSA Instinct is a classy 9-spoke wheel with a Gloss Black Machine Face finish. The Instinct wheel will suit small to medium passenger cars and is available in 15x6.5”, 16x6.5” and 17x7” sizes. CSA Instinct is a classy 9-spoke wheel with a Gloss Black Machine Face finish. The Instinct wheel will suit small to medium passenger cars and is available in 15x6.5”, 16x6.5” and 17x7” sizes. Instinct will suit almost all popular front wheel drive small to medium vehicles. The Instinct wheel has wide appeal and the nine bright machine face spokes will look very smart on any car. Load rated at 690 Kg the Instinct wheel is suitable for all small to medium car & SUV applications.